When & How Much to Tip Movers for Their Services? Tipping is accepted, often even encouraged, in every service industry to convey your recognition for their efforts. We already know the usual for restaurants and bars, but just how much to tip movers? Well, unlike waiters and bartenders, movers don’t usually expect a tip. They very well know moving is expensive, plus they get paid a decent wage. How much do movers make, you might ask? Depending on whether they are licensed or not, they make anywhere between $12 and $17 an hour. If your movers did a great job and you feel like these sums are too low for their efforts, you should tip them. How much? That completely depends on your degree of satisfaction – anything goes from $10 per person up. 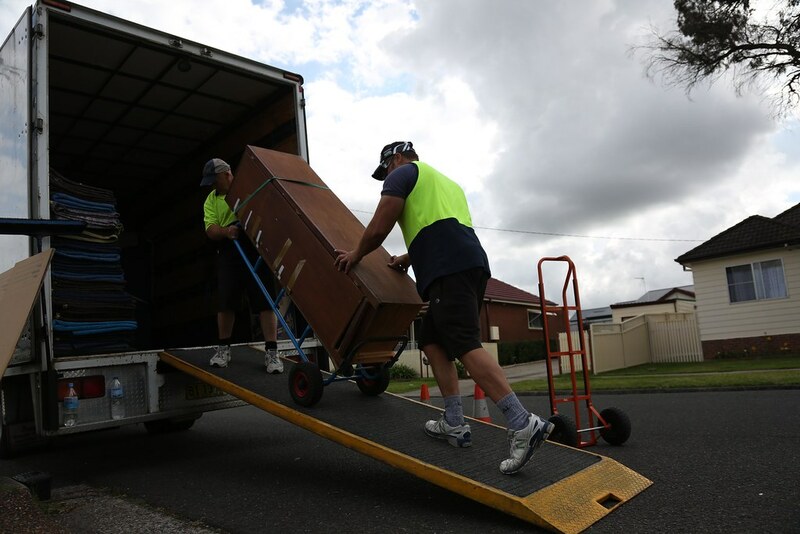 As mentioned before, not everyone is into tipping movers – and they very well know this. Therefore, no movers from a serious company would expect tips, much less intentionally do a bad job. How Much to Tip Movers for a Local Move? If we’re talking about a local move where the same crew pack, loads, unloads, and unpacks your belongings, things are pretty straight-forward. You should tip between $10 and $20 if the whole process took 3 hours or less. If the moving process took longer because you have a larger home, you could go as high as $40 per person. Again, these are not mandatory or expected – just tip if you feel like they deserve it, and don’t tip if you weren’t satisfied with their services. How Much to Tip Movers for a Long-Distance Move? If we’re talking about a long-distance move, things become a bit more complicated. First of all, there are good chances a certain crew will pack and load your goods while a different one will unload and unpack them. The only person that will probably stay with your belongings at all times throughout the transportation process is the driver. However, for longer distances, it’s not uncommon for multiple drivers to transport your belongings. That being said, between $50 and $100 is normal if the same driver picked up and dropped your belongings off, depending on the distance. But to get back to answering the main question, you can use the aforementioned tips for long-distance movers, as well. You can tip $10-$20 per person for the packing and loading crew if you don’t have too many things to move, and the same for the unloading and unpacking one. If the whole process takes more than 4 hours, you might want to double those amounts. The same rules apply to international moves. Okay, so When Do I Tip Movers? If we’re talking about the exact moment when you hand them the tips, then whenever you want to. You can tip them $5 or $10 when they arrive if you think this will motivate them or they seem overwhelmed with the job, and leave it at that or add another $10 when you part ways. Or, you can wait until you make sure everything went well and tip them after all your goods are in your new home. Just make sure you have enough smaller bills to give them equal tips. If you only have larger bills that account for all of their tips, make it clear they need to split it and offer it when they are all present. The efforts your movers invest in your moving process might depend on a series of factors. The weather is the most important one, since working outside on a very hot or freezing day definitely isn’t fun. If you are moving to and/or from an apartment, going up and down the stairs with our furniture might be more difficult than it seems. There also are situations where your movers will go above and beyond their work contracts to finish a job. 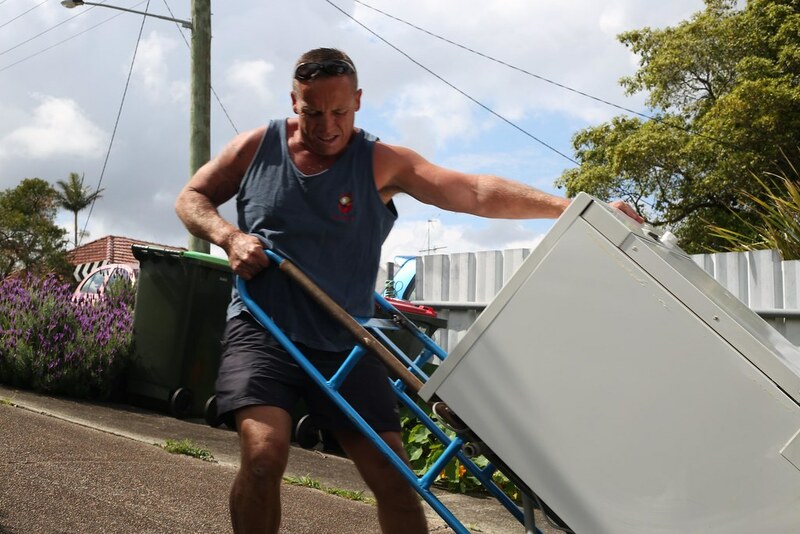 This might include not being able to park their van right in front of the building which results in them carrying your stuff by hand to the truck, and taking extra care with your items. If you have multiple heavy items which you know are difficult to carry, you should up their tips with at least $5. Also, if you see that one of the crew members worked significantly harder than their coworkers, you can make an exception and tip them more than the others. Just make sure you are discreet about it, to not make his working environment hostile. We promise you this will make his day or even week! What Else Can I Do for My Movers? Providing your movers with refreshing beverages and maybe even snacks will go a long way. It goes without saying they should have water available at all times. After all, they will work hard and need to hydrate themselves. If the moving process takes longer than expected although you can clearly see they are doing their best, you can also order pizza or make something from scratch for them. Sandwiches, an omelette, anything that’s quick, easy, and nutritious will not only impress them but also cut down the time it would take for them to go and find a place to eat. We hope this article answered your initial question and any subsequent ones. But if it didn’t, don’t hesitate to use the comment section to find out all you need to know about moving, movers, and tipping them. Now, it’s your turn: How much do you tip movers? Did you have any particularly positive or negative experiences when contracting moving companies?